Written by Sandra Jurišić. 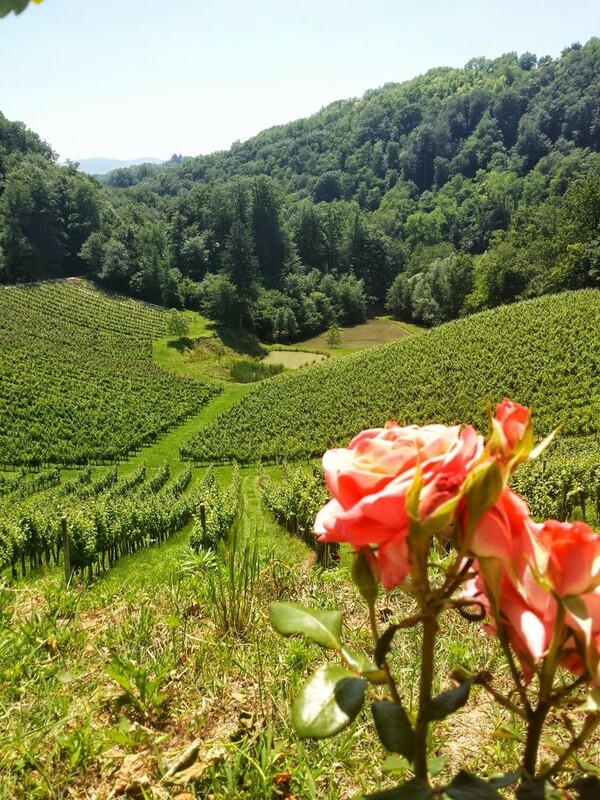 Continued from Eastern Slovenia - PART 1. As I’ve already mentioned, I’d spent some of my childhood in the Dolenjska region and the East and was not entirely unfamiliar with it. I had never, however, heard of the repnice in Posavje region. Repnice, named so after the turnips (repa) that were often stored in them, are basically holes in the ground, like basements, created for the storage of goods. What makes them special is that they are dug into the surprisingly sandy hills found in this region and that they are like nothing you’ve ever seen before. The day had become scorching on our way to Bizeljsko, so entering the cool underground world of the sandy repnice was a pleasant surprise. The woman who introduced Ivana and I to the repnice took us three levels down into the hill, telling us that some of these caves carved into the sand were over two hundred years old, but mostly closed to the general public. 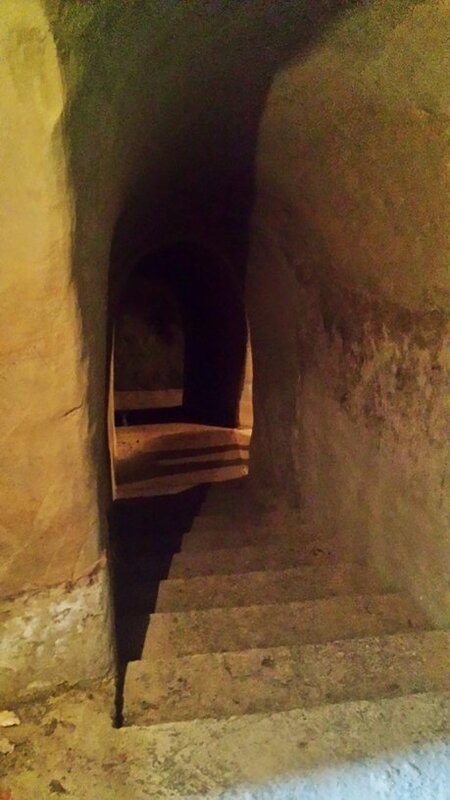 She took us to the wine cellar on the lowest level, and invited us to touch the walls, saying that even though they seem to crumble, the pressure is too great for them to really fall. Afterwards, she offered us some of the wine stored in the sandy cellar, telling us more about the repnice, the wine, and her family. Leaving the wonderful repnice behind, Ivana and I travelled to Podsreda to see its castle. We caught our first glimpse of the 12th century building on our way there, and we stopped to admire the view. While doing so we also found a pathway that led down somewhere, but we never really found out where, as it turns out trekking the damp woods wearing flip-flops isn’t the greatest idea of all time. 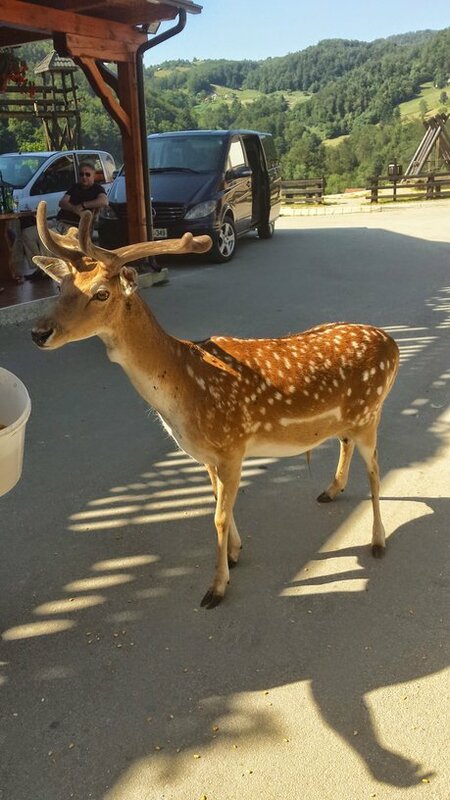 But this is such a typical occurrence in Slovenia, this getting sidetracked by some random path leading somewhere, because you know it will be spectacular. There are so many hidden treasures in absolutely every corner of the country, just waiting to be discovered. After our unsuccessful attempt to discover one such treasure, Ivana and I finally made our way to the Podsreda castle, which was lovely as well. The castle is quite an imposing structure, sitting there on a hill, a patch of white in the middle of all that green, very medieval in its austerity. Inside, its Romanesque character softens it a bit, and the view from its walls takes it right into the sphere of lovely. Surprisingly enough, we learned that the village of Podsreda is crazy about apples, and that apples not only come in more varieties than red, green and yellow, but that some of their names are incredibly imaginative, like the tsar’s son (carjevič), or the colourful cardinal (pisani kardinal). After a late lunch at a restaurant where we were greeted by actual deer, Ivana and I made our final stop at Olimje Castle, a Franciscan monastery. 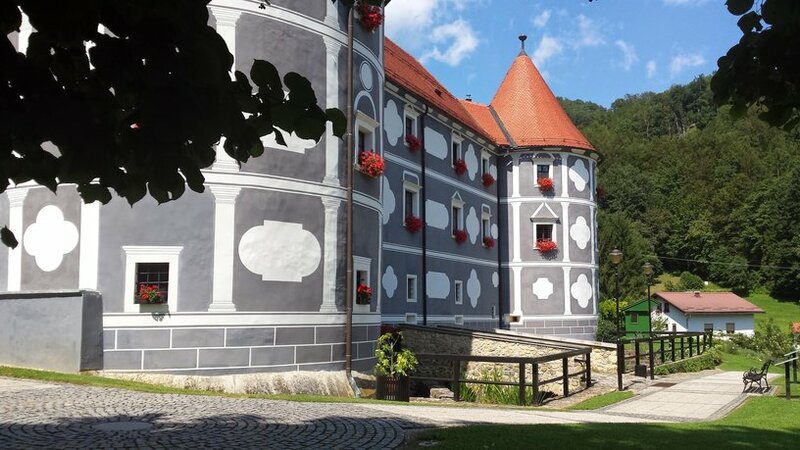 It is fitting that our trip began and ended with something that had seemingly been borrowed from a fairy tale: much like the water tower in Brežice brings to mind thoughts of princesses, the monastery in Olimje’s facade makes it look ephemeral, and the moat and the garden that surround it only add to the effect. Inside, the golden chapel, the enclosed garden, and especially the herbal apothecary are as close as you can come to time travelling in Slovenia, as all of it feels like it hasn’t been touched by the passing centuries. We drove back to Ljubljana in the early evening, leaving the magic of the day behind. I couldn’t quite believe how much we’d seen and done that day, and how much I’d learned about the country I’d been living in for several years. It was amazing to think that we’d seen quite a large chunk of Slovenia in only a couple of hours, but then again, this condensation of beauty in such a small area is what Slovenia is all about. 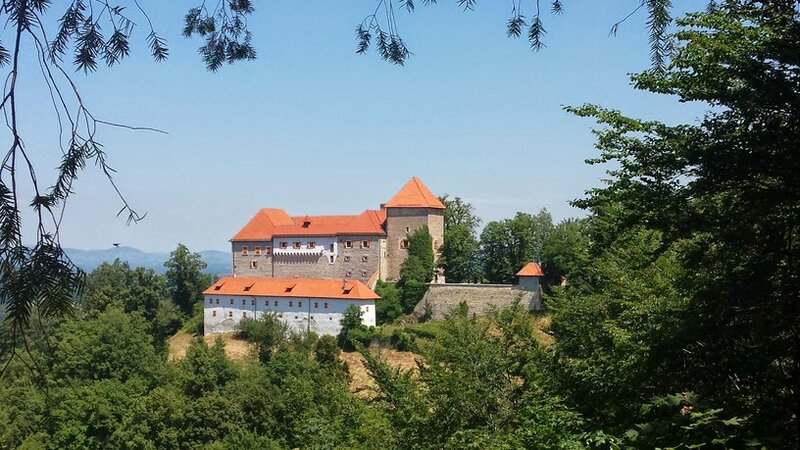 Tagged castle, daytrip, Dolenjska region, geography, history, monastery, off the beaten track, Posavje region, Štajerska region, wine tasting. Bookmark the permalink.